Watch this exclusive Mr. Media interview with Filmmaker Mark Raso, director of the indie Copenhagen, winner of the 2014 Slamdance Audience Award and Under, 2012 Student Academy Award (Oscar), by clicking on the video player above! 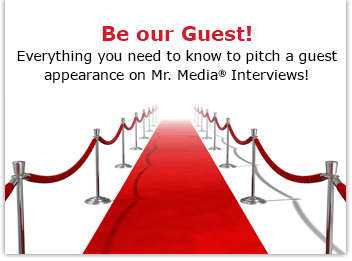 Mr. Media is recorded live before a studio audience of film auteurs planning projects in their own vision of the world’s garden spots, including Abidjan, Tehran, Douala, Tripoli, Karachi, Algiers, Harare, Lagos, Port Moresby, and Dhaka … in the NEW new media capital of the world… St. Petersburg, Florida! Put the name of a city in the title of your movie and that place is likely to have either a lot to live up to – or down to. In indie filmmaker Mark Raso’s Copenhagen, there are three stories fighting for prominence, none of which is actually a tale of the city in which the movie takes place. William (played by Gethin Anthony) is in Copenhagen with his best friend and best friend’s girlfriend to deliver a message to his grandfather – if he even exists. That’s thread one. Thread two is that William has a lot of unresolved issues in his life that he hopes will be satisfied by successfully completing his mission in thread one. And that is thread two. Thread three is what happens when William relies upon and becomes smitten with a beautiful young waitress, Effy (played by Frederikke Dahl Hansen), who becomes his guide to navigating her hometown – emotionally and by bike. This final thread is complicated by her own challenges – and age – and threatens to overtake all else. The film is thoroughly compelling, particularly when William and Effy share the screen, although William’s character is perhaps a bit uneven in his emotional responses at times. But at his age – or hers – what can one truly expect? Their chemistry is undeniable, and therein lies the real problem. Unlike in Variety, the filmmaker — who won the 2012 Student Academy Award (yep, that’s an Oscar) for Under — will have every opportunity to respond and discuss Copenhagen. Here. Now. COPENHAGEN (Trailer) by Mark Raso, from Fidelio on Vimeo. UNDER (Trailer) Student Academy Award winning film by Mark Raso.